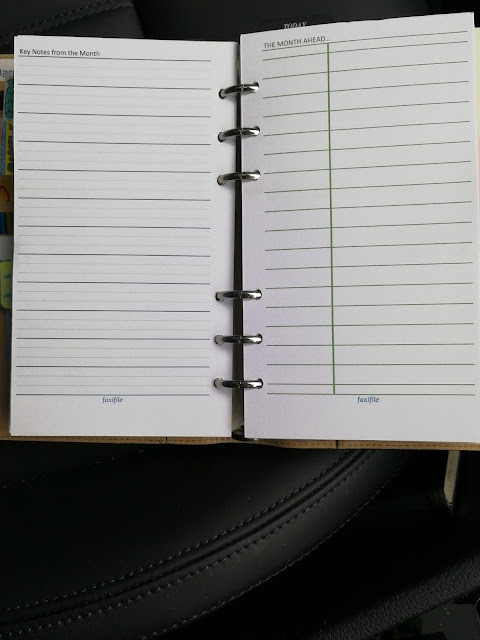 The pages I cannot do without are the Month on two pages, for my personal size filofax. I can write where I plan to be, any events such as birthdays, holidays, meetings, and appointments etc. So I use it for planning and for reminders. I have been asked many times as to where I obtained these pages, however I designed and produced them myself. 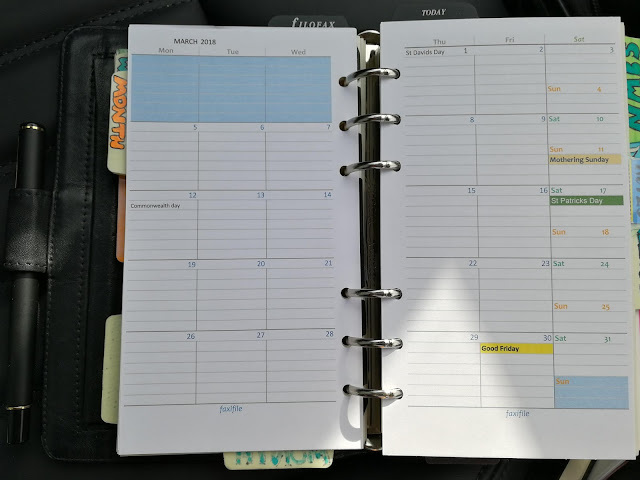 The month is over two pages, but also in between each month there is a single page, to log any key notes from the month, plus a page to log notes or reminders etc for "The month ahead". I have pictured them below and will happily make some for others whom like them. I will list them upon ebay and my eBay name is "faxifile", where you will see several different designs as well as any binders from my collection that I am clearing out.